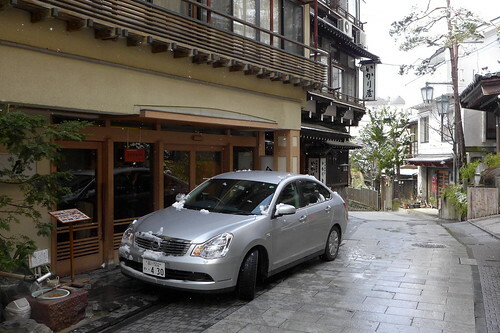 Shane On The Go: Breakfast at Kokuya and, hey, where'd they hide the car? Breakfast at Kokuya and, hey, where'd they hide the car? Breakfast isn't served in the room. 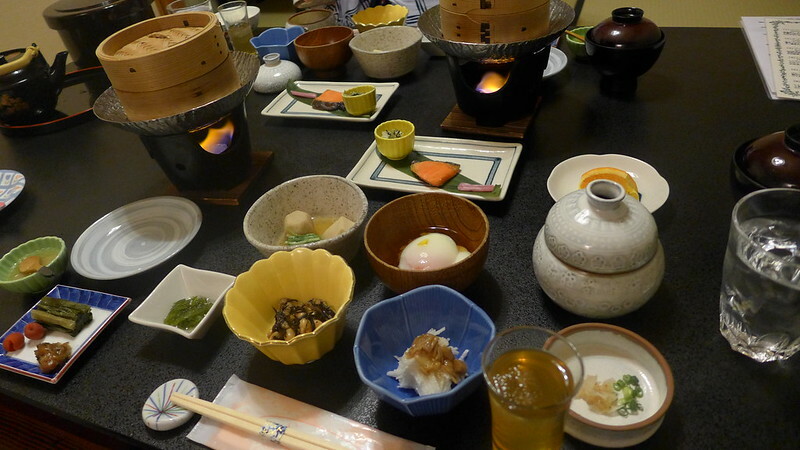 In Ryokans breakfast is generally served in a large buffet or in private tatami mat rooms. 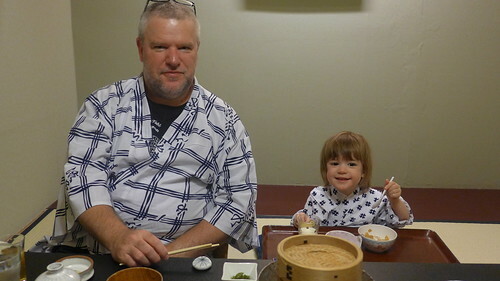 Breakfast at Kokuya is in a private tatami mat room and is every bit as good as we remember. 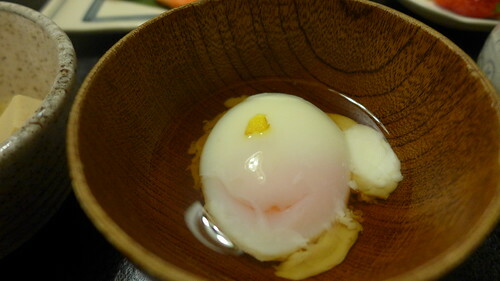 All the usual type stuff - fish, rice, pickles and the most delicious onsen eggs. 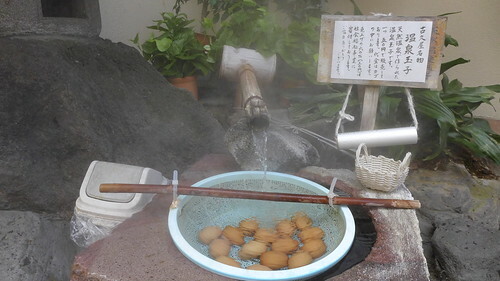 We keep forgetting to get them, but out the front of the Ryokan is a small hot spring fountain. In it they keep a basket of eggs for sale at about 50 yen each. After breakfast we ask for our car. It was whisked away to car parks unknown when we checked in the night before. Like magic it appears at the front door of the lobby. Within minutes we're off to the Jigokudani Snow Monkey Park which is only about 10 minutes drive from our Ryokan. Great experience. 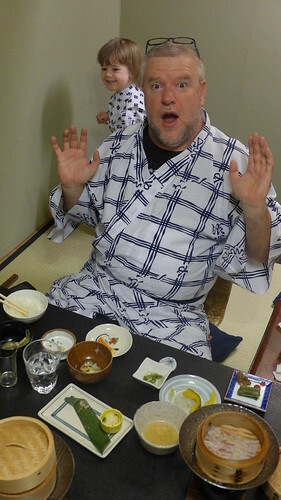 I travelled to japan last year and your article was very helful. Looking for more from your blog in the future.